Since pictures speak louder than words, I thought you might enjoy the view from here. Just one elaboration – if you visit, you must try the The Little Tart. Good gracious, they had some yummy pastries. I chose a caneles, a tiny little bundt shaped cake that was, as Teague described it, like a hand held creme brulee. Crunchy on the outside, creamy on the inside. All I know is that I must have more. The Spotter Trotter right next door had some savory goodies, as well. 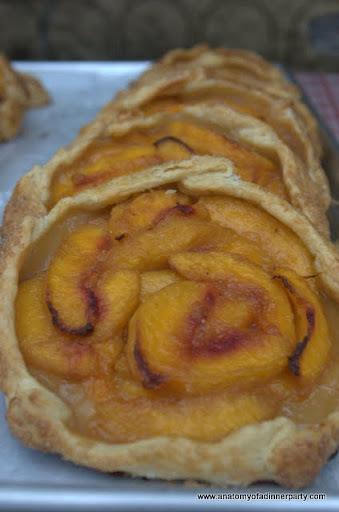 Precious peach pies - they even make the puff pastry! I know I should have taken more photos, but you get the idea. 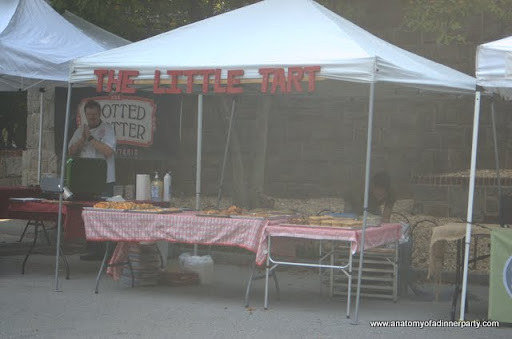 Go visit The Little Tart – they are opening a location soon at The Jane. I’ll be there! Happy Monday everyone! Make the week count! Thanks Patti! 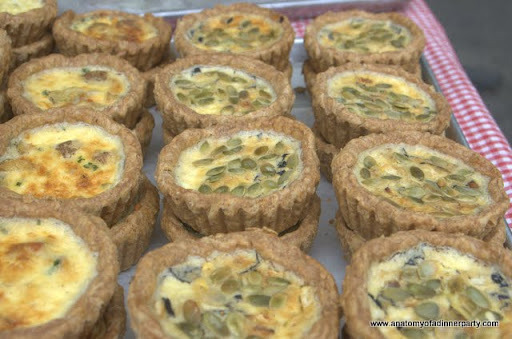 You know the GP Farmer’s Market holds a special place in my heart and the Little Tart is just delicious! Folks should come and check out the market this weekend along with the Summer Shade Festival in full swing! TGIF!